Michael's back in charge, Pam's been promoted to sales, and Jim and Pam are having a baby. Now let's just get poor Andy somebody to love. The sixth season will continue the American adaptation of the British TV series of the same name as a mockumentary portraying the daily lives of office employees in the Scranton, Pennsylvania branch of the fictitious Dunder Mifflin Paper Company. Supernatural Season 5 returns September 10 to air on the CW television network. Season five regular cast members include Jared Padalecki, Jensen Ackles, Misha Collins, and Jim Beaver. It has been confirmed that actor Mark Pellegrino will play the role of Lucifer who was freed from hell at the end of Season 4. Paris Hilton has also been signed for an episode to play a demonic creature that takes the form of Paris Hilton. During the 2009 Comic-Con, Eric Kripke revealed that both Jo and her mother Ellen will return in the show's fifth season. Additionally, hunter Rufus will make an appearance. Season 5 will focus on the mending of Sam and Dean's relationship. Both Ruby and Lilith are finally dead, so we get to have an entire season without either of them, which is just a beautiful thing. 05x01 "Sympathy for the Devil"
05x03 "Free to Be You and Me"
05x06 "I Believe the Children Are Our Future"
05x07 "The Curious Case of Dean Winchester"
Sons of Anarchy returns September 8. Season two premieres on FX on Tuesday at 10 p.m. This season Adam Arkin and the perfectly cast Henry Rollins roll into Charming as the perfect foils for our biker antiheroes. This season is all about internal alliances. The big antagonist this season is just a catalyst to ignite the deep, primal conflicts within the club. Lives will be threatened, sides will be taken and Sam Crow will become the biggest threat to the Sam Crow. 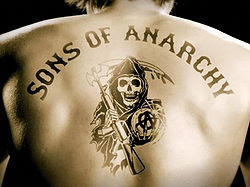 In a promotional video for season two Jax and Clay are shown going head to head in a game of chicken on their Harleys. Whether this is actual footage or a separately filmed trailer made to represent the tension between Clay and Jax within the gang is unclear. 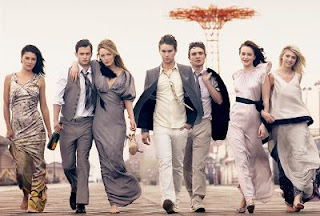 The third season of Gossip Girl returns September 14, 2009. Blair's rooming with Georgina at NYU, and there's no way both of them are going to emerge from that situation alive. The cast began filming on June 29, 2009 in New York City. Hilary Duff has confirmed that she will be joining the show for a multi-episode guest arc in this season as Olivia Burke, a famous movie star who wants a normal college experience. Joanna García has confirmed that she will also be joining the show for the first four episodes as Bree Buckley, an "evil Miss America type" from a rival Texas family who have a lot of beef with the Archibalds - she will serve as love interest for Nate. America's Next Top Model boss Tyra Banks has been confirmed to appear in the fourth episode as Ursula Nyquist, a larger than life actress, who'll work with Serena. Also appearing in this episode, are designers Tory Burch and Georgina Chapman. Music group Sonic Youth will make a guest appearance in the show's fifth episode playing an acoustic version of their song "Starpower". This episode is a "big event" involving Rufus and Lilly. Miss Universe 2009 Winner is Stefania Fernandez of Venezuela crowned on August 23, 2009 in the Bahamas, making history as it is Venezuela’s second consecutive win. I am sure a lot of people from around the world are really looking forward to watch Miss Universe 2009 live stream on TV or on the internet especially if one is unable to watch it live in the venue which is Atlantis Paradise Island in Nassau Bahamas. Last year, I watched the coronation night where Dayana Mendoza won the crown. I was opting for her even at first sight. She got the confidence and the beauty. I have no bet yet for this year, but I won't surely miss it. By the way, you can watch it on NBC or Telemundo live on different cable television providers in the world. For live streaming, Ustream, Sopcast, JustinTV, will surely provide it. Lady Gaga Stole Her Fashion Style? 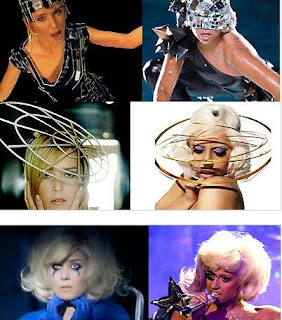 Did Lady Gaga steal her look from Irish electro ice-maiden Roisin Murphy? Yes she did, according to Murphy herself, who told Irish Central: "Lady Gaga is just a poor imitation of me. She has copied my style." What do you think? Even if she does, Lady Gaga wasn't the first artist to imitate, right? That's right, Tiger Woods is leading this year's Professional Golf Association Championship. Two rounds down, two to go before he will win the title. He opened and closed his second round with bogeys, but made magic in between to seize control of the PGA Championship. Now, he says, his goal is to put himself in position for a big finish. Will he win this time? Watch PGA Championship Online or on TV to find out. Pretty in Pink. Amanda Bynes wore a hot pink dress to the 14th Annual Critic's Choice Awards. She looks hot in pink and seems like she is trying to tell the world that she is no longer a child star. The 22 year old was looking especially hot in a tight pink dress that showed off killer legs and even some excessive cleavage for this award show. Also in sports is NFL Games Live Streaming on CBS Sports, NFL Network, ESPN, and Fox channels. But if you prefer to Watch NFL Preseason Games Online just check several websites available in the internet!!! Bye Bye Paula Abdul on American Idol? This blog may not be the first one to report about Paula Abdul not judging the next season of American Idol. It's sad knowing that I liked hearing her comments on contestants on this reality show. So, how true is it that she will no longer be on the 9th season of American Idol? There are a lot of reports already been confirming, while other say the news is still plainly rumors. As a big fan of her, I really hoped she will not leave, because if she does, she will be surely missed. Will it be already a goodbye? Hopefully not. This year's Teen Choice awards was held on Sunday, August 9 but will be aired on FOX channel on Monday night, August 10 at 8:00PM ET. It was hosted by none other than major teen hearthrobs, the Jonas Brothers! 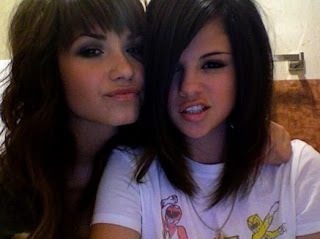 Don't miss Teen Choice Awards 2009 Live Streaming on TV via Fox channel. Twilight has grabbed the most nominations and according to a spoiler, it has one most of the awards too including Robert Pattinson as Teen Choice Male Hottie. Included on the event is Miley Cyrus is doing her newest single, "Party in the U.S.A.," at TC 09. You may also check Watch Teen Choice Awards Online Free!!! Want Some Football Heat This Sunday Night? Days are slipping so fast. I can't believe it. The Hall of Fame Game video streaming on NFL Network will broadcast this Sunday night. I am a National Football League fan and every season is a must-wait for me. So, to those who is a die-hard football fan, witness the NFL Hall of Fame Free Streaming between Tennessee Titans and Buffalo Bills. I am just wondering on who might win this match. Will it be the Titans? I think so. It's just my prediction, but who know, ayt? Anyway, prepare for another great Sunday Night Football tonight. Have fun... and tomorrow's another busy Monday... so just relax tonight, eh. GI Joe The Rise of Cobra - Have you watched it? Have you watched GI Joe The Rise of Cobra already? Any child of the 1980s who thrilled to the adventures of G.I. Joe is likely looking forward to this year's live-action film adaptation with either unbridled excitement or rampant pessimism. There's a lot that can go wrong—the characters already look a lot different from their cartoon counterparts, and the commercials seem to be playing up a slapsticky angle. Since some of the characters have changed a lot from what we remember, we thought we'd run down what we know about all of the Joes (and Cobras) that are in the movie. And knowing... well, you know the rest of it. Posh Spice to Replace Paula Abdul in American Idol? After a news about Paula Abdul no longer judging the next season of American Idol, many news have been spreading recently saying that it could be former Spice Girl Victoria Beckham or Katy Perry who will be replacing Abdul as a judge. Pop singers Katy Perry, former Spice Girl Victoria Beckham, and other female artists will be guest judges on "American Idol" this upcoming season to help replace departing Paula Abdul, Fox television executives said on Thursday. But Fox and the producers of the most-watched American television show said they are searching for a permanent, fourth judge to sit in Abdul's seat when the ninth season of the show returns to TV in early 2010. "What we need to find is someone who has great chemistry. It really is a casting job. Our job in next four or five months is to consider what makes this the most fun, the most entertaining show," Rice said. Regardless, I really can't wait for the Season 9 of American Idol. Also, this weekend Tiger Woods will be playing at the Watch WGC Bridgestone 2009 Online, too!!! 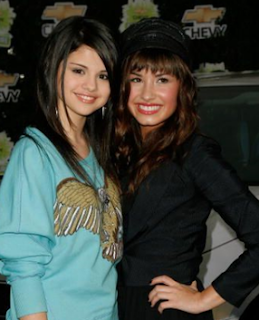 Looking for photos of Devi Lovato and Selena Gomez together? 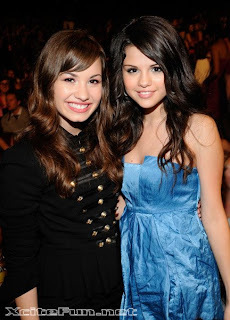 If you do, here are some compilation obtained online where you can watch Demi Lovato Pictures with Selena Gomez. This post will be updated as soon as new photos will be available so check it out often especially if you are a big fan of the two cuties. X Games 15 or Buick Open Golf 2009? If you are a certified sports enthusiast, I am surely you are often tuned in to sports channels like ESPN, NBC, FOX, etc... This weekend, it's time of the finals of XGames 15 and PGA Buick Open. So if you have free time tonight, don't forget this two event. Watch X Games 15 2009 Live Streaming and witness Moto X, skateboarding, BMX, surfing, and rallying.